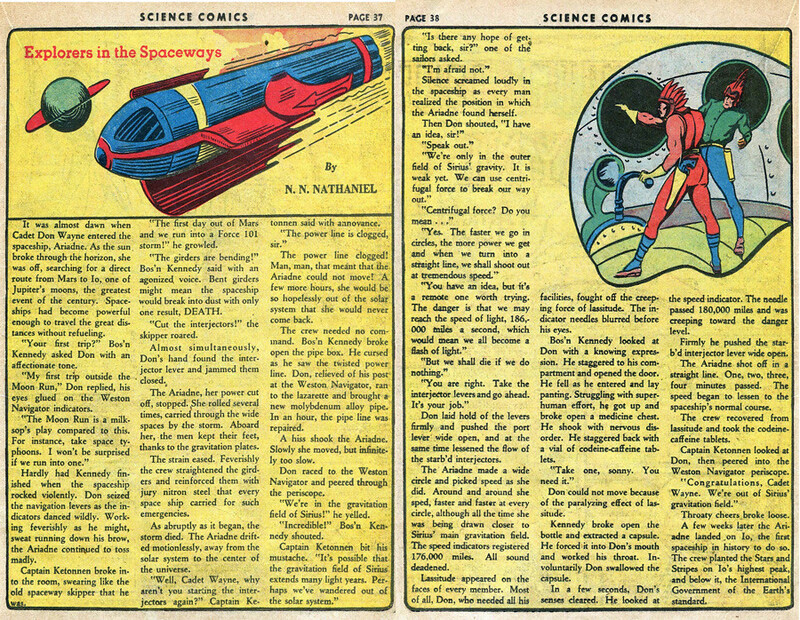 From Science Comics #7 (August 1940) is this 2-page text story about space exploration and claiming a moon of Jupiter in the name of the United States and the One World Government. A few pages of text were often added to comic books in order to qualify for a less expensive postal rate and on occasion were interesting and worth a read. DC Comics was the master of this practice in the late 1950s and through the 1960s with their educational features and "Flash Facts". This Golden Age feature is noteworthy if not for the expansionist creed then the arts and crafts page that is featured earlier in the book. 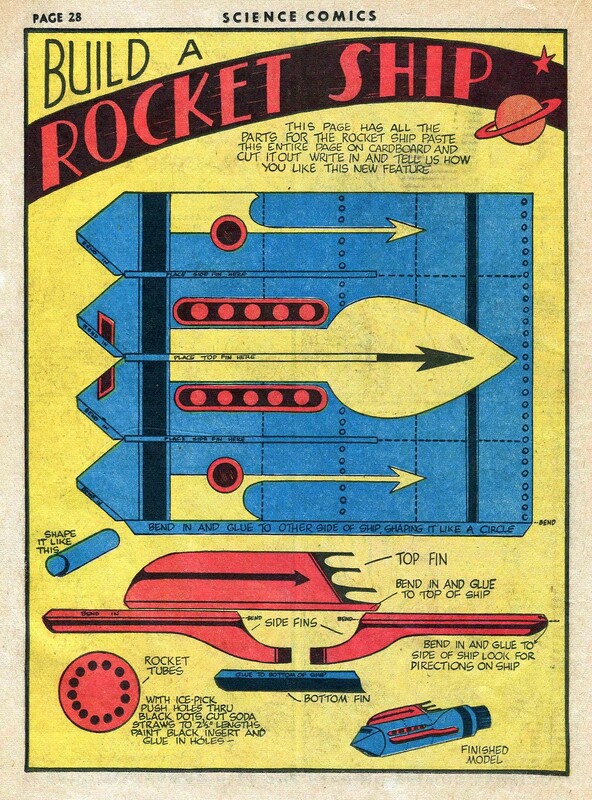 Readers can build their own papercraft rocket ship that is representative of that throughout the different drawn tales in this issue including the text story! Readers can explore the galaxy for themselves! 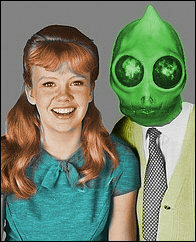 Pretty keen and gorgeously retro to today's sensibilities. Unfortunately while the story is credited to Fox Comics house author Nathaniel Nitkin (a.k.a. N. N. Nathaniel) the text and rocket art could be from any or none of the illustrators who worked on the book itself. The perceived disposable nature of work-for-hire pop entertainment was one of many factors that had the sad result of creators not being properly credited for years. A practice that stretched from the beginning of the pulps that persists in many formats to present day. Any papercrafters that make their own rocket and send me a link I'll post your work. By the way, the instructions don't say you have to make rocket motor noises when playing with your finished model but, come on, don't pretend you won't. Hayley Mills trying some arts and crafts from The Trouble With Angels (1966).